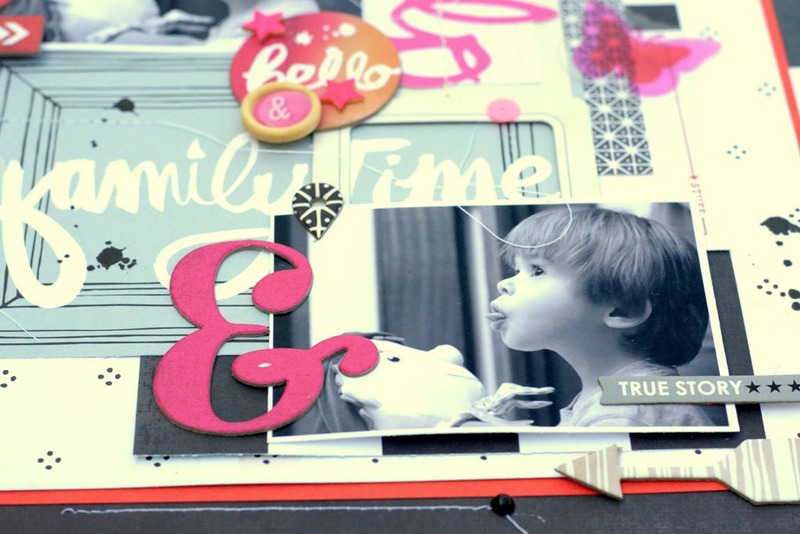 Hi there, it is Amélie and today I am going to share with you some of my new projects made with my May Hip Kits. 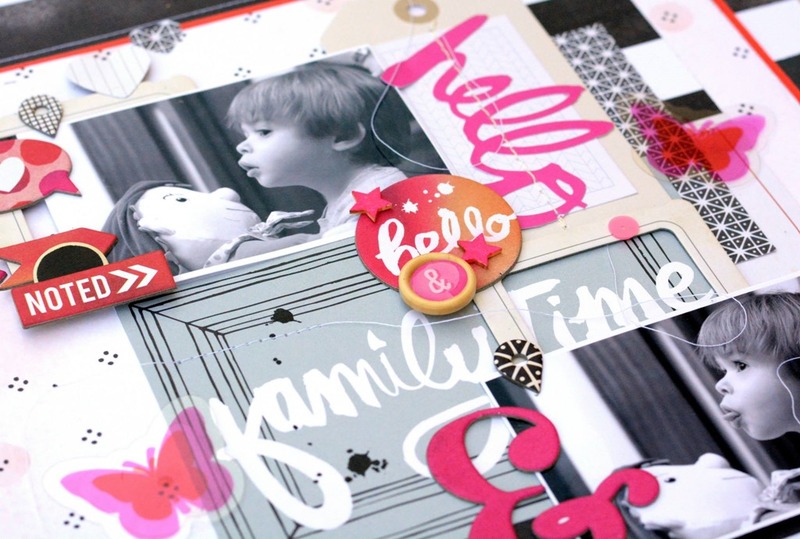 This layout is my take on the May Hip Kit Club Sketch created by Ashley Horton. I essentially chose to use a color palette of pink, black and white. I love how pink color pops on this layout. Be sure to click on the link below to watch my process video for this project. Can’t wait to see your creation inspired by Ashley’s sketch! 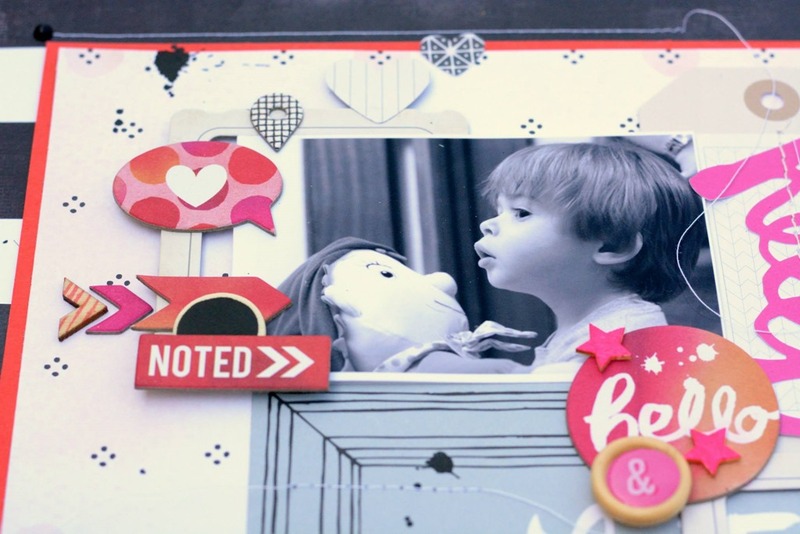 CLICK HERE to see my process video for this layout!!! Welcoming DT Member – Kali Bertazzon!! !